Well, let's start by saying that my age is showing... I have never heard of Cody Simpson before, and was completely lost as to how badly anyone would want to go to his concert. In fact, the last time I was that lost about a musician on television, I think it was Stephanie fawning over Tommy Page on Full House! On another note, a great way to have a pet-friendly episode and not have to continue writing in rabbits, snakes, and mice is to have them all die and run away at the same time... interesting way to go! I did like that they weren't the standard cats, dogs, and hamsters, though, as I had the weirdo pets growing up, too - it was turtles, birds, and lizards for my family! Lastly, I feel like a lot of shows tried to do the kids-on-strike storyline in the late 80s/early 90s (when family shows were all the rage), but it's been a while, so it was interesting to see how it would play out now. Except, really, the additions of modern technology and changing priorities didn't really factor in, and I kinda liked that. Which of the latest three episodes of Instant Mom did you enjoy most? Instant Mom "Requiem for Mr. Floppity" (S01E18): Aaron watches his class rabbit for the weekend, but it dies when it pops a balloon. [why would Stephanie have it playing with a balloon anyway?] The teacher just replaces it, but Stephanie takes the opportunity to explain death to Aaron, so he's freaked out on Monday at school when the rabbit "returns because it missed the class." [wow that's a rough situation! and the "zombie rabbit" theory wasn't any better!] But, Stephanie insists on a funeral, even though they can't find the original rabbit's body and she has to stuff a plush rabbit with rocks. Of course, the room of eight-year-olds catches her, confusing them even more. 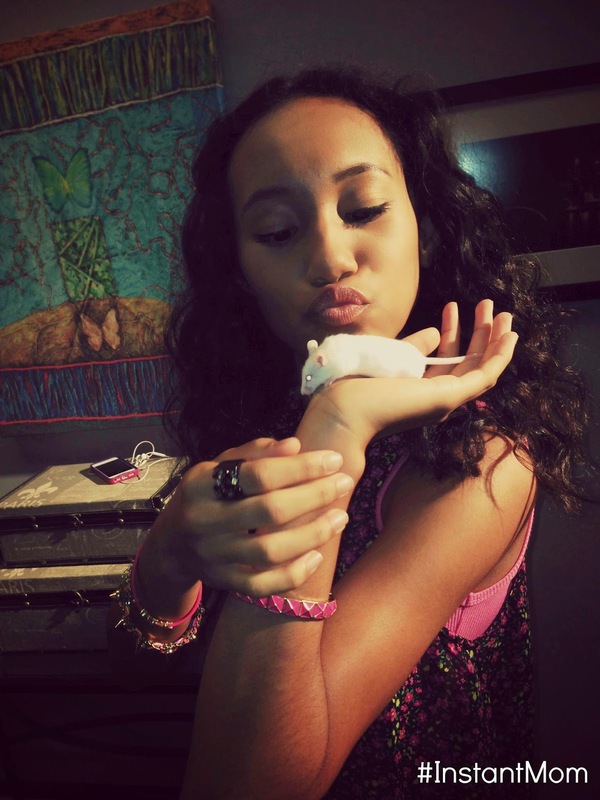 Even having the rabbit around for a few minutes reignites Gabby's desire for a pet, and Charlie lets her get a mouse. Of course, James decides to trade a friend a comic book for a snake, which spells out nothing but trouble for both the rabbit and the mouse!